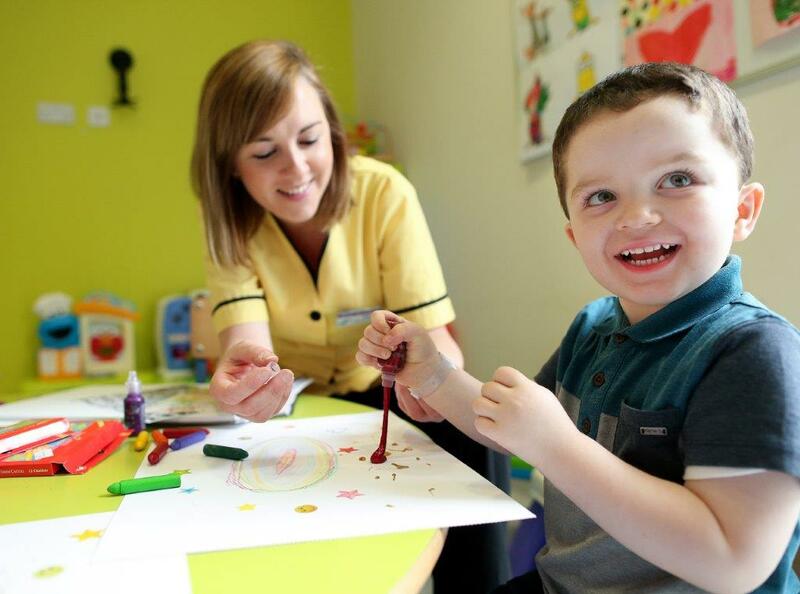 Callum Murray ( 3 ) from Athlone and Clair Tierney ( Play Specialist) with his drawing of what he imagines the new children’s hospital will look like upon completion. We want to make sure that our neighbouring communities improve their health and wellbeing by virtue of proximity to the campus of the new children’s hospital and St. James’s Hospital whilst also enhancing the health and wellbeing of the construction workforce during their placement on site, and complementing, where appropriate, the health and wellbeing workforce strategies of our hospital partner(s). Work on this theme has started by exploring the various community health assets and programmes in the locality with a view to complementing activities. More information on Community Health and Wellbeing will be published shortly.